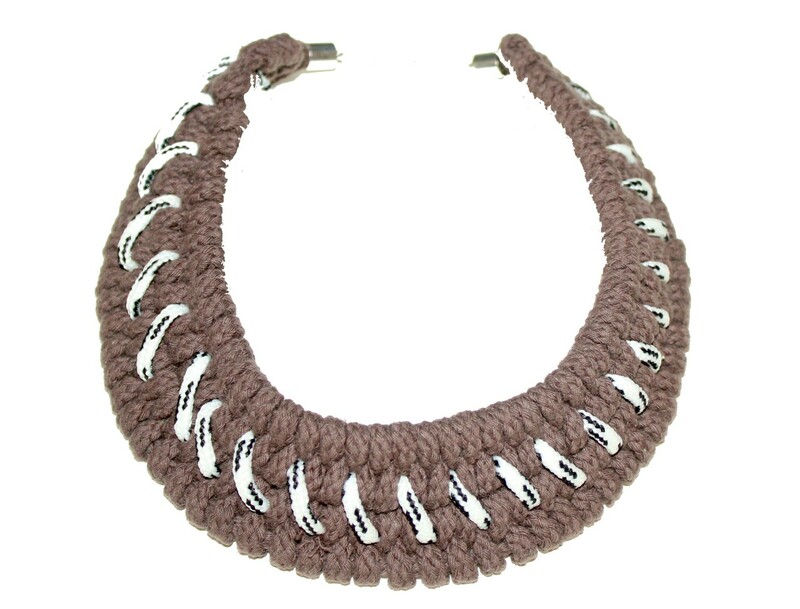 Brown/Grey collar necklace handwoven into a zigzag knot. Silver hardware. 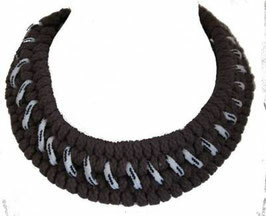 Measure 15" inches circumferance, with 2" width woven section.